Silicone cup cake mould in the shape of a heart, with 6 individual heart shaped moulds by CKS Zeal. 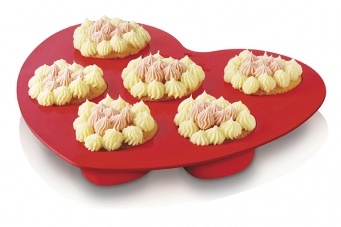 This red heart shaped silicone mould will give your perfect heart shaped cup cakes everytime. 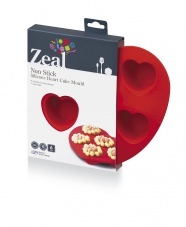 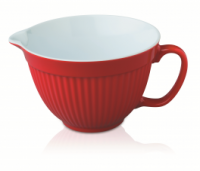 Team up with a red melamine mixing bowl and heart patterened spatula to bring some fun to your baking, all by CKS Zeal.